I’ve been writing these Throwback Thursday articles for several years now, but I’m always amazed at the classic items I have yet to cover. Our object this week was introduced in 1978, a joint project between APH and Telesensory Systems, a leading accessibility technology firm founded in 1970 at Stanford University. 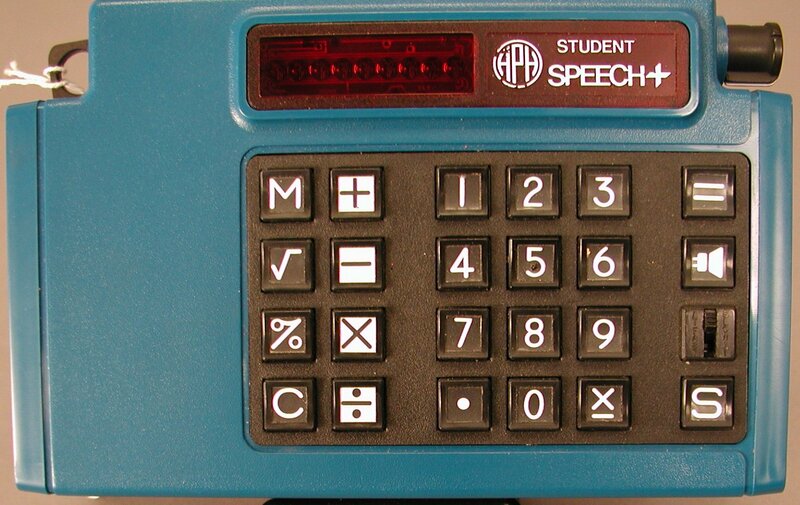 The Student Speech+ Talking Calculator could speak twenty-four words, and was the first calculator to appear in the APH catalog. It could add, subtract, multiply, divide, and calculate square roots and percentages. The readout was a pretty small red LED display, but the buttons were designed in large type. By comparison to modern voice synthesis on your cell phone—I’m talking to you Siri--the voice was highly electronic. 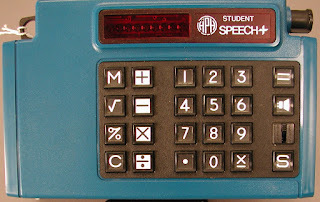 Telesensory designed the calculator, but it was almost identical to their own version from 1976, the Speech+, which came in brown rather than APH blue. 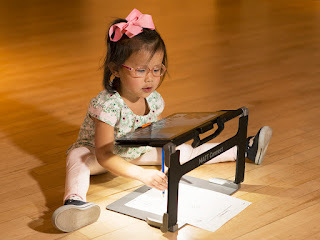 Partial assembly was performed by APH, which also distributed the calculators. They sold originally for $455 and were available until 1982. I remember the Student Speech Plus calculator well, along with the original Speech Plus from TSI. I received one in 1981, when I started my first year in a mainstream high school. Its functionality was pretty much identical to the original Speech Plus, with the exception of a switch. On one model, the switch adjusted the speed of the results, if I remember correctly, and the other model used it as a sort of mute switch but I forget which model used it for muting as opposed to speech rate. If you pressed the 4 key followed by the "root" key quickly you could get it to say "fruit."